In 72 hours, at least five students have shared less than stellar truths about their relationships. And while their overall concerns differ, one thing links them together: the idea that it’s all natural. That everyone goes through rough patches. That sometimes people lose their temper. That sometimes people cheat. That any form of mistreatment or abuse is normal because “at least I’m in a relationship, right?” Wrong. 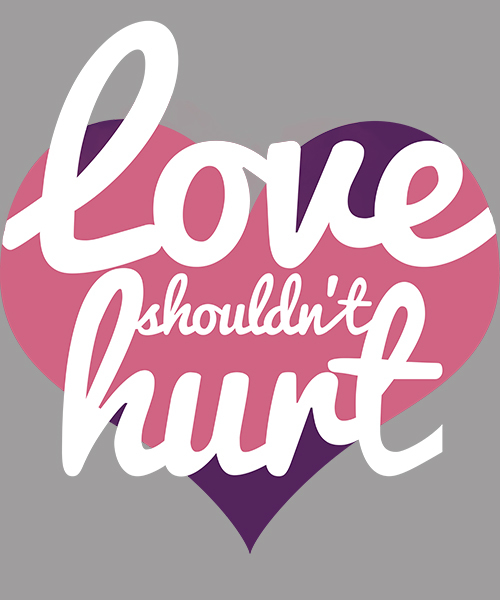 October is officially National Domestic Violence Awareness Month, and as long as people have role models like NFL players who beat their wives or performing artists who sing about harming their significant others, people–particularly teens and young adults–will continue going through life with distorted and unhealthy perceptions of love and relationships. Yes, it’s great to be loved, but if that love comes at a cost–your self-esteem, your pride, your looks, your dreams, your heart, your education, your friends and family, your life–well then that’s not love at all…is it? In a previous Kermit Says post, I mentioned being in an unhealthy relationship when I was in high school. I dated a young man who I loved and who, I was sure, loved me right back. Unfortunately, he didn’t love me for me, and so instead of breaking things off, I started to hide bits of myself and change parts of who I was in order to please him. I tried to force it, but you can’t force something that should happen organically. Think about a puzzle: each puzzle piece has a place and fits perfectly (almost seamlessly) within each other. Now I’m not saying that relationships don’t take hard work. What I am saying is that if you work at it and it’s not working or you work at it and the process and outcome are painful, take a cue from Frozen’s Elsa and let.it.go! It took me two years to realize that I deserved better, and that the person I was meant to be with would love me for me– no matter what. Two long and difficult years almost broke me. Almost. There comes a time when you have to decide if you want to let someone or something hurt you so much that you have nothing left or if you want to get up, dust your shoulders off, and keep pressing on. For how long will you let someone get the very best of you? For how long will you waste your precious tears? For how long will you waste your love and affection and kindness? Is the one who causes you pain worth it? No. Are you worth more? Definitely! You have to decide when enough is enough. Sometimes this is easier said than done, and if you feel like you need help, tell someone! Talk to a friend, a parent, a sibling, a teacher, the police–anyone you trust who can make a difference! Don’t let anyone steal your joy or make you feel worthless, inferior, or undeserving of healthy love and happiness. Love yourself more than you love your partner because if you don’t love you, who will? For more information on healthy relationships or National Domestic Violence Awareness Month, simply click the highlighted links! Kermit Says: Let’s Stay Connected! Wow, this is super powerful. Thank you for sharing this. Sometimes it’s tough to get out of horrible situations. Realizing self worth is so so important. Thank you so much for your thoughtful response, startingtodaycoach!